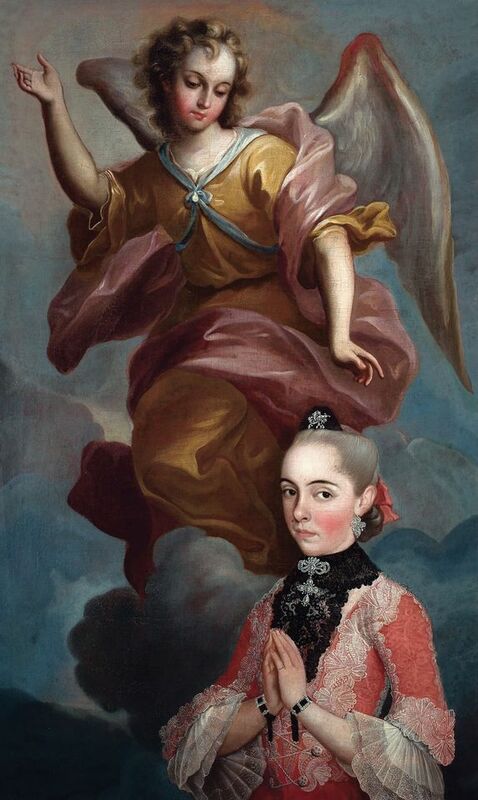 The exhibition Painted in Mexico, 1700-90: Pinxit Mexici, brings together more than 100 works, around half of them newly restored for the occasion and many never before published. An astonishing six years of field research were needed just to “take the measure of the topic”, says the show’s lead curator, Ilona Katzew, the head of Latin American art at Lacma. She and three academic co-curators, one based in Spain and two in Mexico, personally visited “2,000-plus” works between them in Mexico, the US and Europe. “The visual capital of the vice-regal period is extraordinary and you can only truly grasp the magnitude of this output by visiting those places,” Katzew says. The hands-on process meant the curators “made many discoveries by pulling things out of closets, or getting close and discovering signatures”, she says. Negotiating the loans also took time and powers of persuasion, since many devotional pieces still hang in local churches and are considered integral to parish heritage. The show reflects the proliferation of art as an expression of faith, ranging from large altarpiece ensembles to allegories for monastic contemplation to depictions of holy effigies believed to perform miracles. The exhibition at the Met is supported by the Placido Arango Fund, the William Randolph Hearst Foundation and the Andrew W. Mellon Foundation.